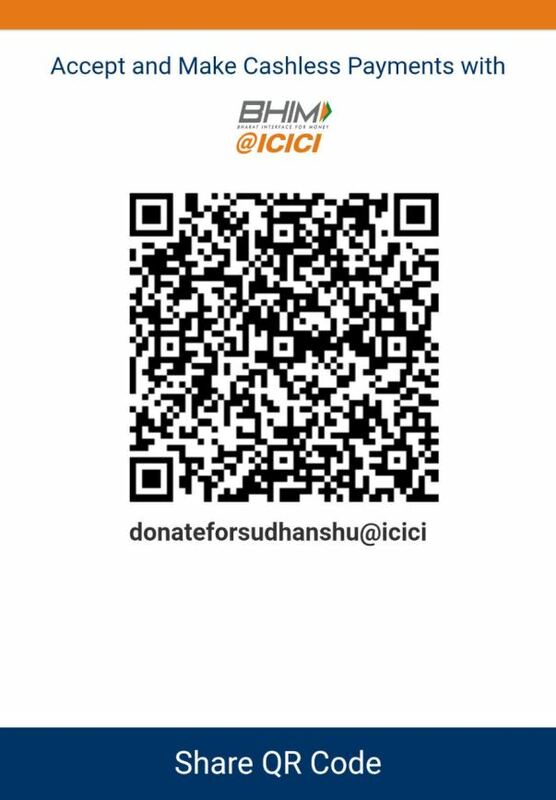 Help Sudhanshu Complete his 3rd cycling expedition. An ex- footballer, I am now a Photographer and Cinematographer specialised in documenting weddings. 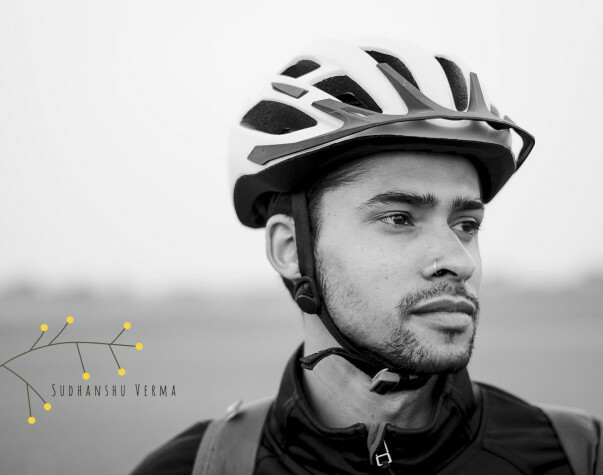 I had my first solo cycle touring experience in 2016 crossing a total distance of 3000KMS from Jaipur to Kanyakumari (India). That is when I became passionate about the biking and I rebirth as a storyteller. 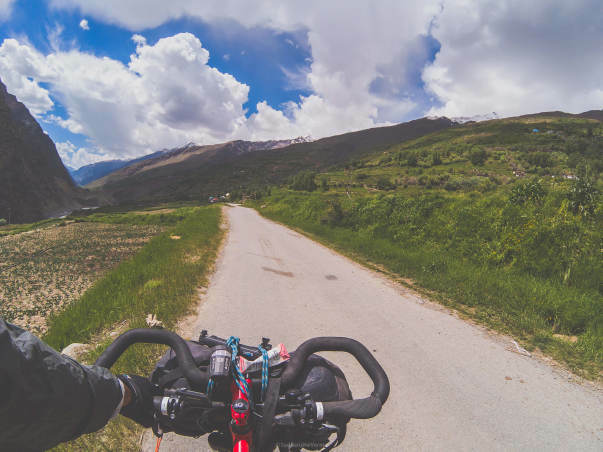 The next year I cycled one of the most dangerous passes in the world at Pangi Valley. Conjointly I got into Mountaineering in the course of 2016 and was felicitated as the Best Student with flying colours at completion of the mountaineering course at Jawahar Institute of Mountaineering and Winter Sports (JIM&WS). I love to be active and it took me no time to have the saddle to be more than just a home. Find me on the left lane of the highway of life. 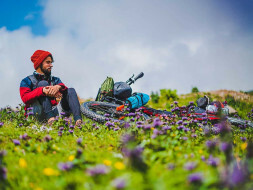 I want to encourage people to adopt the bikepacking culture which is not only healthy but is yet an unconventional means of self education both towards the society as well as individually. Through bikepacking the community would get introduced to exploring spaces around them with a newer perspective. Today where most individuals are open to trying new ways to explore, engaging into spreading word about such an inspiring culture. I heartily invite you to partner with me to bring this change! What is the Road ahead ? 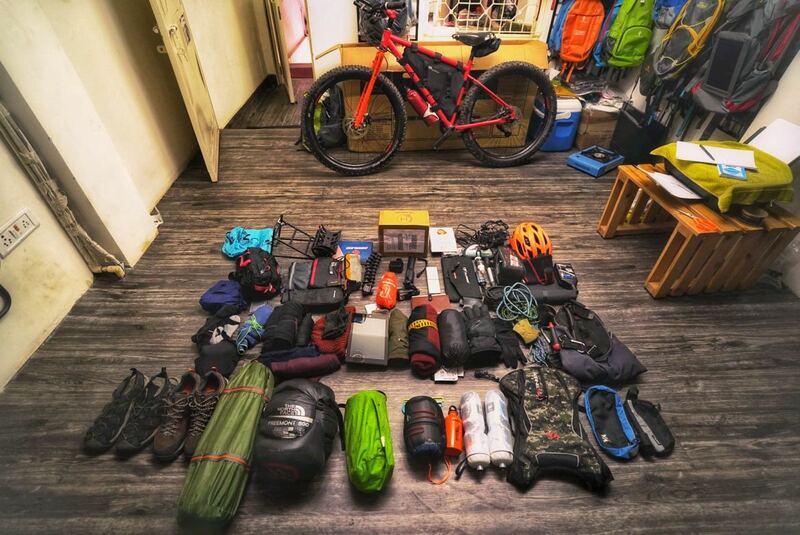 The road ahead is going to take my bicycle and me on a 3 months long tour. Pedalling ahead exploring the remote areas of Ladakh. The journey would be long but with your company even the cold desert might seem to feel homely. Grab all that you need because we're going to be crossing grand glaciers, breath-taking valleys and some traditional high altitude trekking routes. When I first started, my tours were self-funded until now. Unlike many new cyclists, I don't want to take up a cause without agreeing to it from heart! – I want to be honest. Your support is a voluntary payment that would make my upcoming biketour happen. If everyone who believes in our work, who likes it, helps fund it, my journey to explore the unseen would keep going. You could support with as little as INR 100 – and it might take just a moment. Thank you. 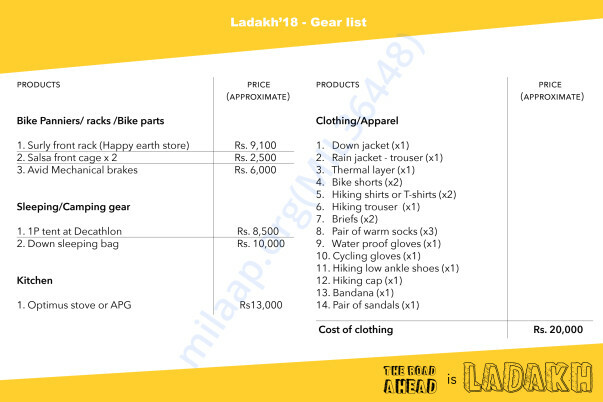 I've just returned from my tour in Ladakh and thought I would share an update on it. Well this time things didn't go as planned from the start but I still wanted to challenge myself to be able to make it somehow. I went back to Leh to resume my tour but it was a failed attempt. I suffered from fever and then Haemorrhoids which took a long time to recover. 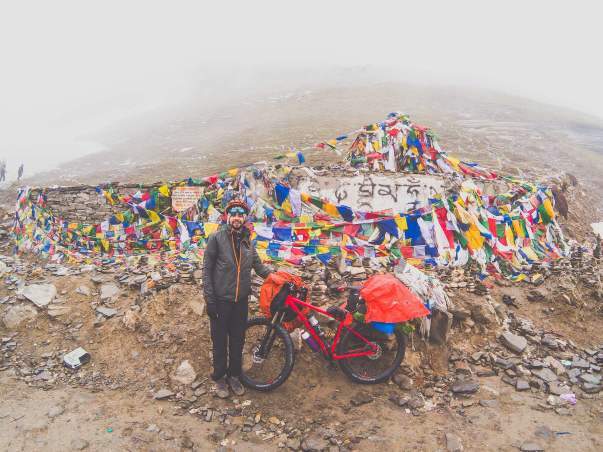 I rode all the way to Khardungla pass as I recovered and made a little contribution by picking up plastic on the way. As I thought I am recovered I headed to Rumtse to start the last section. From Rumtse to Tso morriri it takes 8 days and there's no availability of food on the trail. I continued pushing my bike till Kyamar La which is the first pass on the trail. Unfortunately I again felt the pain caused by Haemorrhoids which was not good at that altitude as there's no way of finding help. I ran into a situation where I had no option to cook and recover near the pass. I took a wise decision to not continue further and recover in the village nearby. I'm deeply disappointed with my performance but I believe mountains will be there always so I am definitely completing it where I left it. I'm glad to have you all here for my support! Whatever I've raised is definitely going to be used from a good cause. I'm yet to decide where I can donate this amount and help somebody in future. 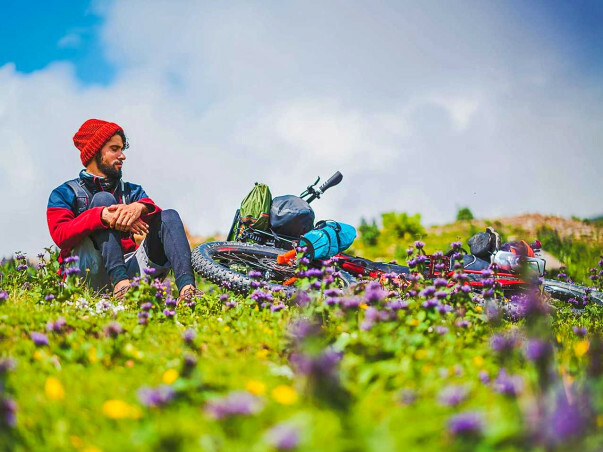 I started peddling towards Zanskar Valley from Manali on 9th July. Visiting Zanskar has always been my dream as its among the remote areas of J&K. As I moved towards my goal, crossing Shinko La pass I entered a village named Kurgiakh where I got this unfortunate news about my grandfather that he is in critical health condition and might not live with for us long. I headed back the next day and reached Jaipur to be able to see him. Currently in jaipur we have not seen any improvements in his health but we are hoping he would stay with us for long. I'm going to start my journey from next week as I believe everybody has to walk their path in life. Thank you for your love and immense support! Hey everyone! Thank you for your support. I am about to start my Journey from Manali. Today I packed my gears and took a Volvo to Manali. For the next few days we will acclimatise and prepare for the adventure. Will keep you updated on it! Looking forward to following you on this expedition ...all the very best!